Ernest Beaumont Schoedsack (June 8, 1893 – December 23, 1979) was an American motion picture cinematographer, producer, and director. He worked on several films with Merian C. Cooper including King Kong and Chang: A Drama of the Wilderness. A cinematographer or director of photography is the chief over the camera and light crews working on a film, television production or other live action piece and is responsible for making artistic and technical decisions related to the image. The study and practice of this field is referred to as cinematography. Merian Caldwell Cooper was an American aviator, United States Air Force and Polish Air Force officer, adventurer, screenwriter, film director, and producer. Cooper was the founder of the Kościuszko Squadron during the Polish–Soviet War and was a Soviet prisoner of war for a time. He was a notable movie producer, and got his start with film as part of the Explorers Club, traveling the world and documenting adventures. He was a member of the board of directors of Pan American Airways, but his love of film always took priority. During his film career, he worked for companies such as Pioneer Pictures, RKO Pictures, and Metro-Goldwyn-Mayer. He is also credited as co-inventor of the Cinerama film projection process. 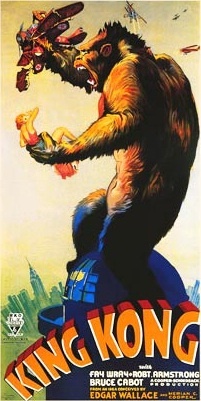 Cooper's most famous film was the 1933 movie King Kong. He was awarded an honorary Oscar for lifetime achievement in 1952 and received a star on the Hollywood Walk of Fame in 1960. Council Bluffs is a city in and the county seat of Pottawattamie County, Iowa, United States. The city is the most populous in Southwest Iowa, and forms part of the Omaha (Nebr.) Metropolitan Area. It is located on the east bank of the Missouri River, across from the city of Omaha. Council Bluffs was known, until at least 1853, as Kanesville. It was the historic starting point of the Mormon Trail. 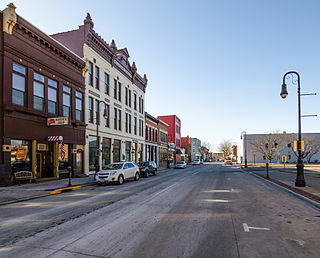 Kanesville is also the northernmost anchor town of the other emigrant trails, since there was a steam powered boat to ferry their wagons, and cattle, across the Missouri River. Mack Sennett was a Canadian-American film actor, director, and producer, and studio head, known as the King of Comedy. 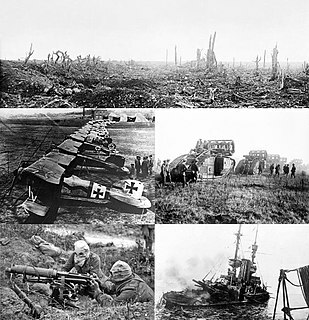 The United States Army Signal Corps (USASC) is a division of the Department of the Army that creates and manages communications and information systems for the command and control of combined arms forces. It was established in 1860, the brainchild of Major Albert J. Myer, and had an important role in the American Civil War. Over its history, it had the initial responsibility for portfolios and new technologies that were eventually transferred to other U.S. government entities. Such responsibilities included military intelligence, weather forecasting, and aviation. Ruth Rose was a writer who worked on several films in the 1930s and the 1940s, most famously the original 1933 classic King Kong. Chang: A Drama of the Wilderness (1927) is a silent film about a poor farmer in Nan Province and his daily struggle for survival in the jungle, the film was directed by Merian C. Cooper and Ernest B. Schoedsack. It was released by Famous Players-Lasky, a division of Paramount Pictures. The Bengal tiger is a Panthera tigris tigris population in the Indian subcontinent. It is listed as Endangered on the IUCN Red List since 2008, and was estimated at comprising fewer than 2,500 individuals by 2011. It is threatened by poaching, loss and fragmentation of habitat. None of the Tiger Conservation Landscapes within its range is considered large enough to support an effective population of more than 250 adult individuals. India's tiger population was estimated at 1,706–1,909 individuals in 2010. By 2014, the population had reputedly increased to an estimated 2,226 individuals. Around 440 tigers are estimated in Bangladesh, 163–253 tigers in Nepal and 103 tigers in Bhutan. The Four Feathers is a 1929 American war film directed by Merian C. Cooper and starring Fay Wray. The picture has the distinction of being one of the last major Hollywood pictures of the silent era. It was also released by Paramount Pictures in a version with a Movietone soundtrack with music and sound effects only. The film is the third of numerous film versions of the 1902 novel The Four Feathers written by A. E. W. Mason, and the cast features William Powell, Richard Arlen, Clive Brook and Noah Beery Sr.
Willis Harold O'Brien was an American motion picture special effects and stop-motion animation pioneer, who according to ASIFA-Hollywood "was responsible for some of the best-known images in cinema history," and is best remembered for his work on The Lost World (1925), King Kong (1933) and Mighty Joe Young (1949), for which he won the 1950 Academy Award for Best Visual Effects. Grass: A Nation's Battle for Life (1925) is a documentary film which follows a branch of the Bakhtiari tribe of Lurs in Persia as they and their herds make their seasonal journey to better pastures. It is considered one of the earliest ethnographic documentary films. Richard Horatio Edgar Wallace was an English writer. Mighty Joe Young is a 1949 American black and white fantasy film distributed by RKO Radio Pictures and produced by the same creative team responsible for King Kong (1933). Produced by Merian C. Cooper, who wrote the story, and Ruth Rose, who wrote the screenplay, the film was directed by Ernest B. Schoedsack and stars Robert Armstrong, Terry Moore, and Ben Johnson in his first credited screen role. Robert Armstrong was an American film actor remembered for his role as Carl Denham in the 1933 version of King Kong by RKO Pictures. He uttered the famous exit quote, "'it wasn't the airplanes, T'was beauty killed the beast," at the film's end. James Ashmore Creelman was a film writer in Hollywood. The Most Dangerous Game is a 1932 pre-Code adaptation of the 1924 short story of the same name by Richard Connell, the first film version of that story. The plot concerns a big game hunter on an island who hunts humans for sport. The film stars Joel McCrea, Leslie Banks, and King Kong leads Fay Wray and Robert Armstrong; it was made by a team including Ernest B. Schoedsack and Merian C. Cooper, the co-directors of King Kong (1933). 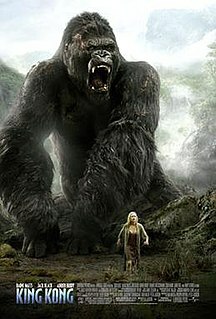 The film was shot at night on the King Kong jungle sets. Pioneer Pictures, Inc. was a Hollywood motion picture company, most noted for its early commitment to making color films. Pioneer was initially affiliated with RKO Pictures, whose production facilities in Culver City, California were used by Pioneer, and who distributed Pioneer's films. Pioneer later merged with Selznick International Pictures. The Last Days of Pompeii (1935) is an RKO Radio Pictures film starring Preston Foster and directed by Ernest B. Schoedsack and Merian C. Cooper, creators of the original King Kong. Although inspired by the novel of the same name by Edward Bulwer-Lytton, the film has virtually nothing to do with the book. The Monkey's Paw is a 1933 American pre-Code horror film directed by Ernest B. Schoedsack, based on the story, "The Monkey's Paw" (1902) by W.W. Jacobs. The film was considered lost until pictures from it were posted online in 2016. Action in Arabia is a 1944 film starring George Sanders and Virginia Bruce. The film was written by Philip MacDonald and Herbert J. Biberman, and directed by Leonide Moguy. The supporting cast includes Gene Lockhart and Robert Armstrong, and the plot involves trouble and intrigue with the Nazis in Damascus, who scheme to seize control of the Suez Canal. Lucky Devils is a 1933 American Pre-Code film about group of Hollywood stuntmen and their dangerous daredevil stunt work, starring William Boyd and Bruce Cabot, and features an early appearance by Lon Chaney Jr.. Flying Devils is a 1933 American Pre-Code action film dealing with aviation. The film was directed by former Hollywood agent Russell Birdwell and photographed by film noir cinematographer Nicholas Musuraca. The screenplay was written by Byron Morgan and Louis Stevens, based on an original story by Stevens. In an unusual move, Bruce Cabot was the star, with perennial "good guy" Ralph Bellamy playing the villain in a love triangle involving Arline Judge and Eric Linden. Although considered a "B" feature, audiences enjoyed the aerial scenes, which helped elevate the feature to a minor box-office hit. Jack Polito is an American animator who has worked in the film industry since the 1960s. He was inspired by the 1933 film King Kong. Polito formed the animation company The Production House in 1980. ↑ Richards 1973, p. 120-123. 1 2 3 4 Hall, Mordaunt (April 30, 1927). "The Screen". The New York Times. Retrieved June 1, 2016. ↑ "Merian C. Cooper & Ernest B. Schoedsack". They Shoot Pictures, Don't They?. Retrieved June 1, 2016. 1 2 3 Aitken, Ian (February 2013). The Concise Routledge Encyclopedia of the Documentary Film. Routledge. ISBN 9780415596428. 1 2 3 4 5 6 7 8 9 10 11 "Ernest B. Schoedsack". Encyclopædia Britannica. Retrieved June 2, 2016. 1 2 Von Gunde, Kenneth (October 2001). Flights of Fancy: The Great Fantasy Films. McFarland & Company. p. 108. ISBN 9780786412143. 1 2 3 4 5 6 7 8 9 10 11 "Ernest B. Schdoedsack". Turner Classic Movies. Time Warner Company. Retrieved June 1, 2016. 1 2 "Schoedsack, Ernest B." encyclopedia.com. Retrieved June 2, 2016. 1 2 "Ernest B Schoedsack". Classic Monsters. Retrieved June 1, 2016. ↑ Erb, Cynthia (April 2009). Tracking King Kong: A Hollywood Icon in World Culture. Wayne State University Press. p. 65. ISBN 9780814334300. 1 2 3 4 5 6 7 8 9 10 11 "Ernest B. Schoedsack: Complete Filmography". TCM. Retrieved June 2, 2016. ↑ "Now Showing: Chang". Altoona Tribune. May 19, 1928. Retrieved June 2, 2016– via Newspapers.com. ↑ Reddington, John (October 17, 1935). "The Screen: 'Last Days of Pompeii" at the Center Theater". The Brooklyn Daily Eagle. Retrieved June 2, 2016– via Newspapers.com. ↑ "Ernest B. Schoedsack". MUBI. Retrieved June 1, 2016. ↑ "Westwood Village Memorial Park Cemetery". Geni. Retrieved June 2, 2016. Finding aid author: Lucy Brimhall (2013). " Ernest B. Schoedsack sound recordings ". Prepared for the L. Tom Perry Special Collections, Provo, UT. Retrieved May 16, 2016.